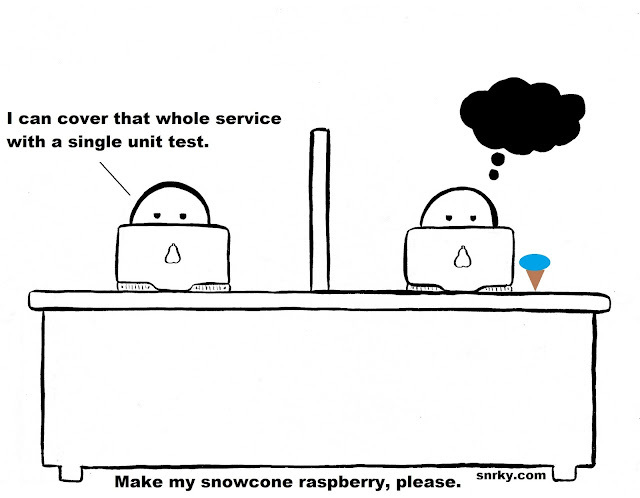 Snrky: Make my snowcone raspberry, please. Make my snowcone raspberry, please. Snarky: I can cover that whole service with a single unit test. Title: Make my snowcone raspberry, please.